The Trial of Henry Kissinger. London & New York: Verso, 2001. First edition of this polemic by Hitchens. Octavo, original half cloth. Inscribed by Christopher Hitchens on the title page. Fine in a fine dust jacket. "Hitchens is a brilliant polemicist and a tireless reporter. 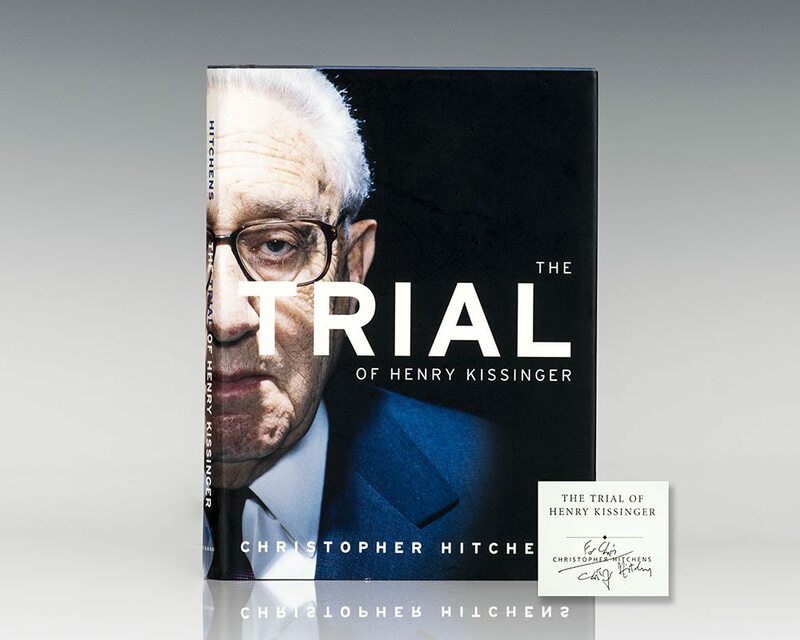 Both sets of skills are on display throughout this book as he presents damning documentary evidence against Kissinger in case after case" (San Francisco Chronicle). New York: Twelve/ Hatchette Book Group, 2010. 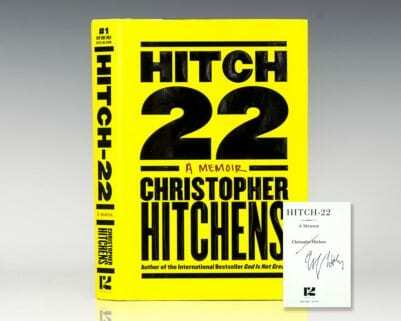 First edition of Hitchens’ memoir. Octavo, original half cloth. Signed by Christopher Hitchens on the title page. Fine in a near fine dust jacket. Jacket design by Eric Baker. Thomas Jefferson: Author of America. New York: Harper Collins, 2005. 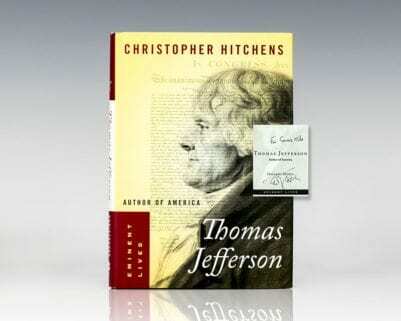 First edition of this biography of Thomas Jefferson. Octavo, original half cloth. Presentation copy, inscribed by the author on the title page, “For Comrade Mike Christopher Hitchens.” Fine in a fine dust jacket. God Is Not Great: How Religion Poisons Everything. New York: Twelve/ Hatchette Book Group, 2007. 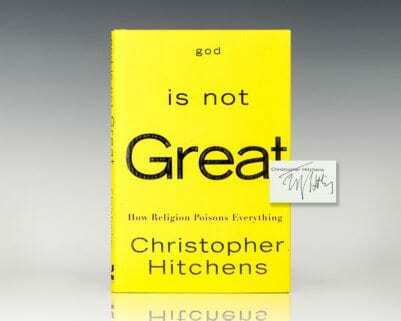 First edition of this polemic by Hitchens. Octavo, original boards. Signed by Christopher Hitchens on the title page. Fine in a near fine dust jacket. Jacket design by Anne Twomey. First printings are uncommon signed. New York: Basis Books, 2002. First edition of this widely acclaimed biographical essay on George Orwell. Octavo, original boards. Signed by Christopher Hitchens on the title page. Fine in a fine dust jacket. Jacket design by Rich Pracher.